Self Assessment deadline is fast approaching… Are you ready? The deadline is fast approaching… Are you ready? If you file after January 31 you will face an instant £100 penalty, with further fines and interest charges the longer you delay. HMRC accepts no excuses for lateness and this could lead to a £1600 fine, without even paying any tax owed! 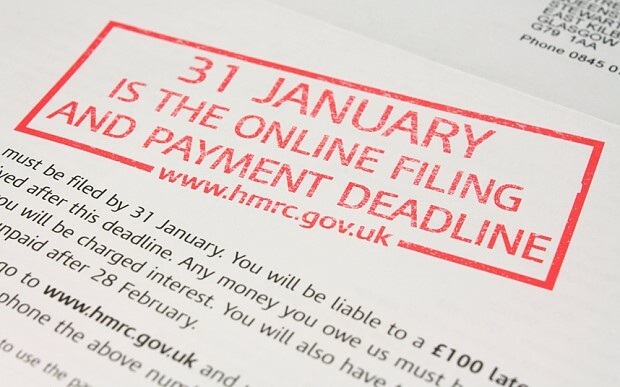 That date is also the deadline for paying any balancing payments for the tax year. You must complete a self-assessment income tax return if you are in business, either as a self-employed person or as a company director. Simple planning and the right advice can make completing your income tax return relatively painless. Rather than rushing around at the end to find receipts, you can take the time now to pull together your financial information. Please bear in mind if this is your first filing a return, you will need to register with HMRC. They will send you UTR number, which could take seven working days to arrive. Then you need to get pin code and activate the services, it will take another week or two – so it’s worth getting that sorted now! A self-employed income tax return is more straightforward if you choose to match your accounting year to the tax year, so that you report profits for the year to 5 April. But a different accounting year end may suit you better, for example by deferring tax payments. You may want to take advice. -if you claim tax relief e.g. pension contributions, marriage allowance, charitable giving etc. You can find guidance on the HMRC website or contact the HMRC self-assessment enquiry line, but may find it easier to get advice from your accountant. Your accountant can also offer advice on business tax planning to minimise your taxes. Self-Assessment will be submitted immediately after approval. Moreover, you will get personalised tax advice and professional help through the year. Our Price Promise ensures you get the best price with no hidden costs fixed. Please call us today for your free consultation on 0208 249 6007.